Jig Arbour Sofa forms part of the Jig furniture collection of soft seating and tables. With high backrest and roof canopy, the Jig Arbour sofa provides a comfortable acoustic buffer collaborative solution. Used on its own or with another unit facing it and shared table staff and clients can hold informal meetings or carry out work. 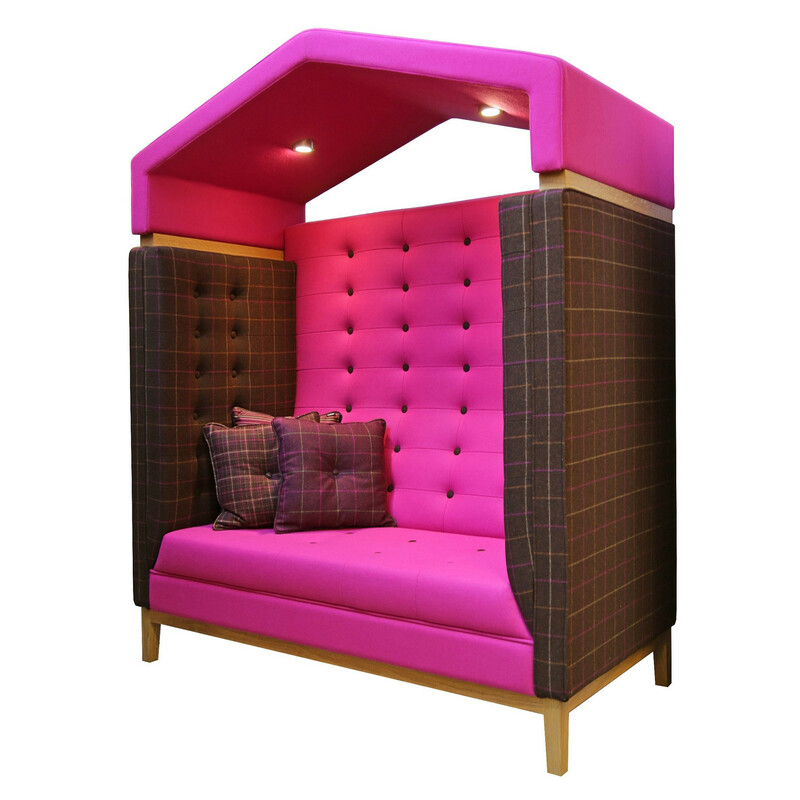 Jig Arbour is constructed using a solid Oak frame that is sourced from responsible forestry with quality upholstery. The seating provides the sitter deep foam sprung support ideal for heavy use areas. 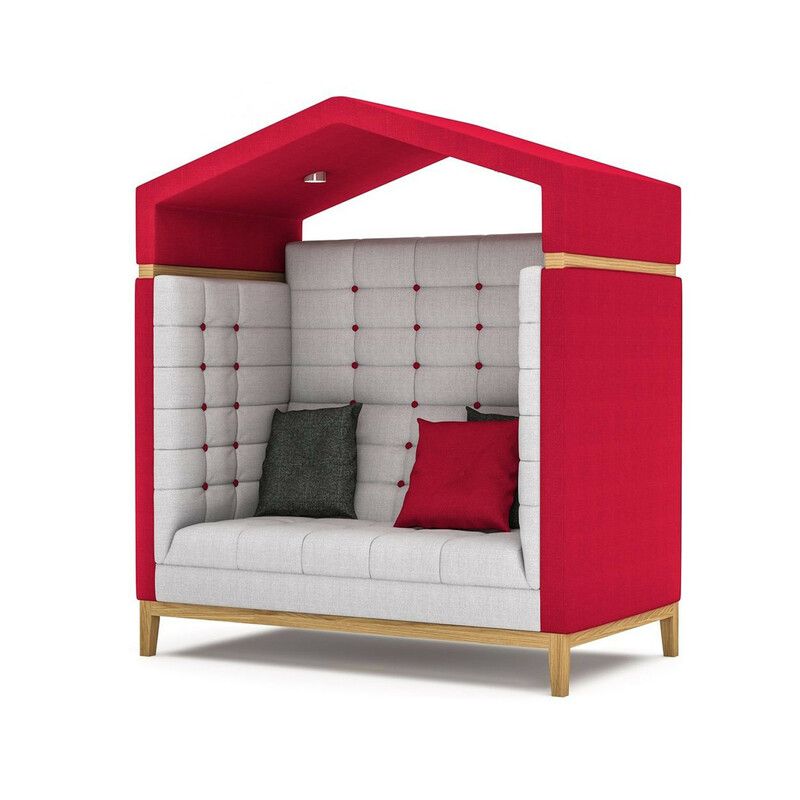 As the Jig Arbour high back sofa is made to order you can specify the type of fabric, chose to have contracting upholstery, buttons and optional LED lighting can be added to the roof. You are requesting a price for the "Jig Arbour High"
To create a new project and add "Jig Arbour High" to it please click the button below. To add "Jig Arbour High" to an existing project please select below.